These little critters are a primary food source for multiple species of fish in many lakes, streams, and reservoirs. 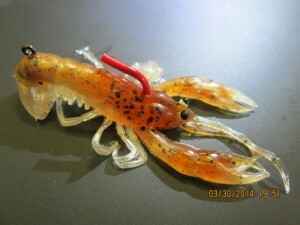 Throughout the seasons crawdads will come in different sizes and colors. The most common colors for our lake seem to be shades of green and brown with orange, red, and purple as accent colors. 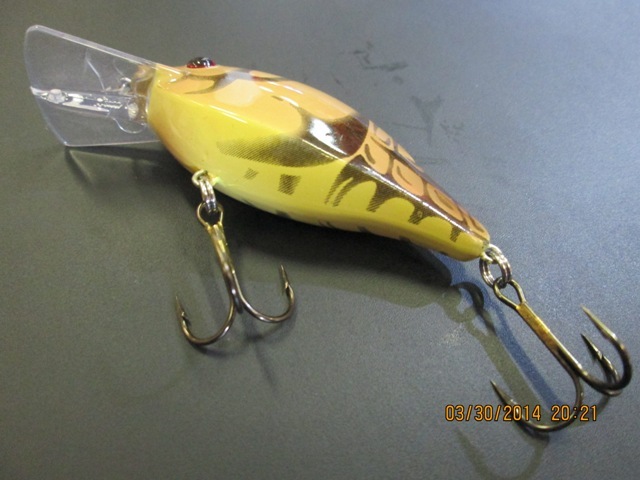 Size can vary but the most common seem to be 2-4″ long. As far as bait selection goes there are many to choose from. 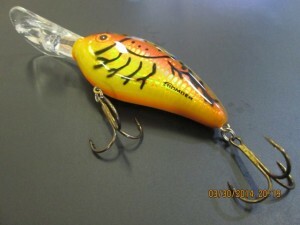 Most baits are designed for bass, but many will work for crappie and trout as well. 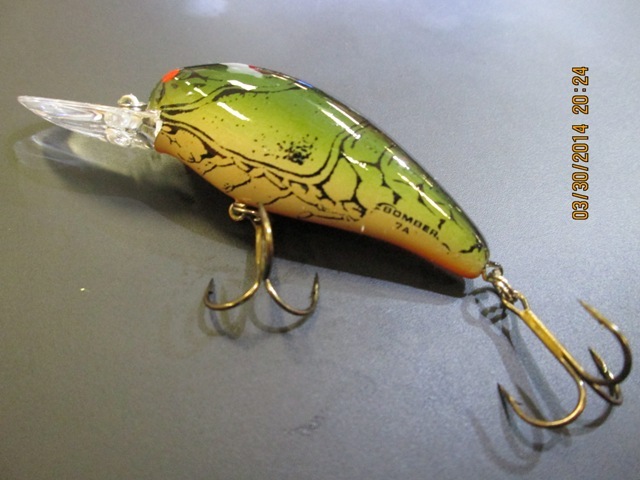 The most commonly used rig that resembles a crawdad would probably be a skirted jig. These come in many brands, weights, and colors. California Reservoir Lures makes a perfect jig called Melones Craw that has a little brown, green, and orange. 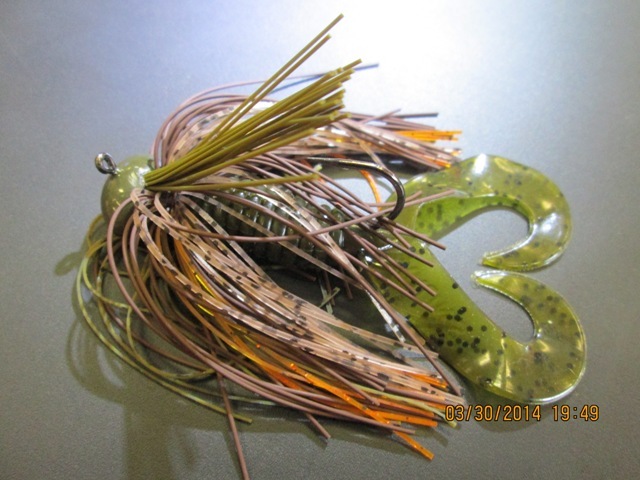 These jigs can be trimmed to smaller sizes and be sure to add a grub, brush hog, beaver or pork chunk as a trailer. Many companies make soft plastic crawdads that can be fished on many different setups from a Carolina rig to a drop shot. River2Sea makes a bait called a Standin’ Yabbie. When a crawdad is being attacked it will stand up and defend itself. This bait does the same which will convince a predator it is the real thing. 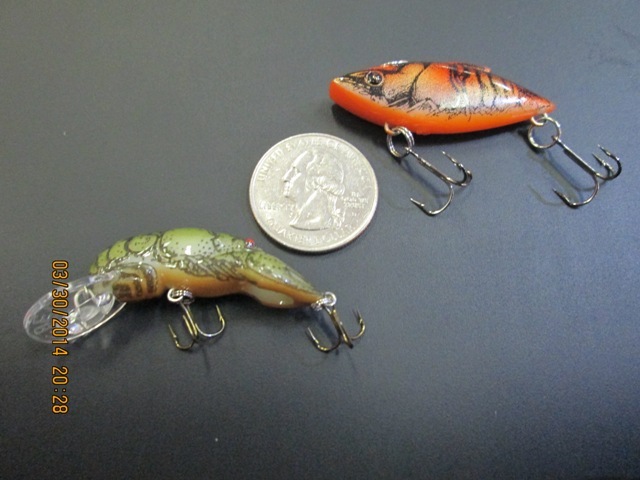 Crawdads spend most of their time rooting around in the rocks so it is a good idea to fish these baits on the bottom. Sometimes they will leave the bottom and dart from one rock pile to another. A great way to mimic this darting activity is with a hard bodied plug (crankbait). There are many to choose from with different bill styles and a wide variety of colors. With some experimentation you will find the ones that work best at various depths and cover. The smaller sizes work best for trout, crappie and bluegill. 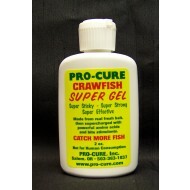 Try adding crawfish scent to all of these presentations. If it looks like a crawdad, acts like a crawdad, and smells like a crawdad, must be a crawdad.